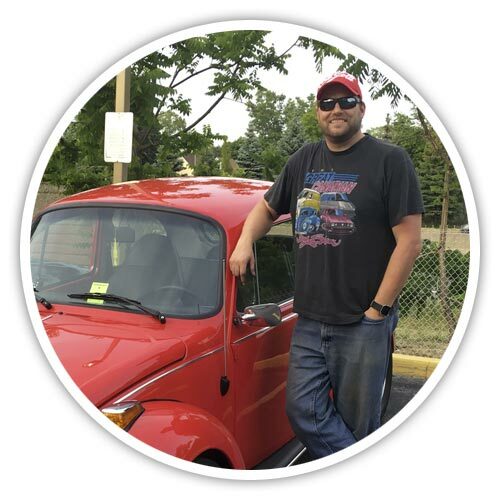 Peter Rood AKA “thebugnut” has been a VW Beetle fan since his youth (Herbie The Love Bug) and heavily involved in the Volkswagen community since the early 90's when the VW Beetles were starting to be seen as a collector car. He pulled his first Beetle (1974 Super Beetle) out of a barn in Acton, Ontario in 1993. Since then he has owned / rebuilt several classic VW's both in his garage, and at Bugs On The Hill in Richmond Hill, Ontario. In 2001 Peter was able to become one of the directors of The Great Canadian Bug Show, replacing Brad from Brad's Bugs. 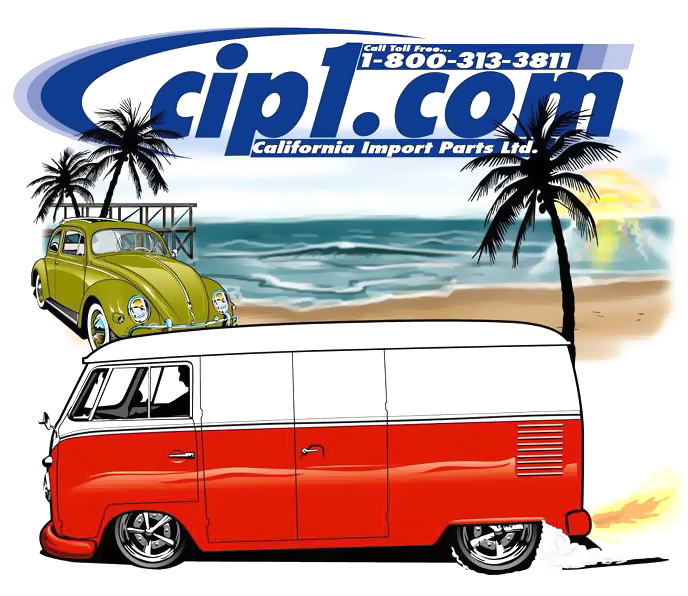 This is where he made his connection with Rick at 410-Auto, another VW specialist. The show was moved to Stouffville for two years, and then on to the Hershey Centre in Mississauga for two more before putting the show into retirement so he could focus on his young family and new website design company Rood’s Media. Flash forward to 2010, Peter had the opportunity to acquire ownership of the 1971 Super Beetle he built at Bugs On The Hill in 1996 by helping put some life back into his mechanic’s 1973 Super Beetle. The Beetle had a hard life living at the shop for over a decade. This 1973 1303 was in-need of some serious TLC, and in exchange for his help Peter would become the owner of the 1971 (without a motor). Getting the 1973 road worth once again sounded easy and fun! Little did he know, it would become a much larger and longer project than anyone initially expected. Without going into every single detail about the part time restoration of this car… just take note that sometimes life can get in the way of your plans. What started off as a fun summer project, slowly turned into an 8-year body off home garage restoration. When Peter started digging into the car he found rust, broken parts, missing parts, strange anomalies, and more rust. This car was going to require more work than Peter had ever dedicated to any automotive project before. This car would become his practice car, learning everything he needed to know before a single wrench touched the 1971 Super Beedle that he finally owned. Another thing that slowed this restoration down was an extension on his own house that included a new garage. That sounds great… but before that can happen, you have to tear the old garage down. All of Peter’s tools and toys had to be packed up and put into storage. By the time the home extension and new garage were completed and ready to function as a shop again, it was almost 3 years later. Tearing the car completely down was never the plan. Only the trouble spots were supposed to be repaired. Unfortunately digging into each trouble spot only revealed more trouble. Finally, the decision to gut the car and pull the body off and fix everything made the most sense. There was not going to be any quick fix. After the car was successfully scattered around Peter’s garage, it was time to chase out the rust. Armed with an arsenal of angle grinders with cut-off discs and an assortment of wire wheels all the rust was cleaned or cut out of the Beetle one chunk at a time. A project of this size was new to Peter, as most of his previous work was always body-on repairs and repaints with an assortment or aftermarket upgrades. So tearing the car apart was the easy part… the trick was putting it all back together. One of the most important tools to learn how to use in any automotive restoration is a welder. This was something Peter was new to. He did his research and purchased a flux core welder from Canadian Tire. One small job at a time and what used to seem like some crazy skill set that was unobtainable, slowly became a reality. Piece by piece Peter’s confidence grew and his ability to patch the replacement panels back into place became easier. Towards the end of the fabrication process there was pretty much nothing that he couldn’t handle. No replacement piece? No problem… just fabricate something from scratch. Once you learn how to cut, shape, and weld metal, you are only limited by your imagination. This 1973 Super Beetle had a lot of new metal put in place while the body was off. Working with the replacement metal he had, and trying to stay on budget can sometimes be tricky. Peter worked hard to balance things by only replacing the minimum amount of metal, and fabricating solutions to fix and replace rusty portions of the car instead of replacing entire panels. Like most old Beetles, there are some spots you just can’t patch. The rear cross members, rear quarter panels, left and right rocker panels and front halves of the floor pans had to be replaced entirely. There was no getting around that. In addition, there was a lot of fabricating required to fix the bottom of the doors, cracks in the hood and fenders, new c-channels, random rust holes, and the addition of many new nuts that had to be welded to the body to hold all of those fenders in place. When all the new metal was finally in place the car was put back together and finished as one piece. Again, this helped keep the project within the budget. Once the finishing body work was completed and primed, it was sent out for paint. While the car was getting painted, Peter was able to take a look at his new and used inventory of parts. Any missing or forgotten parts were ordered and any old parts that required some TLC were repaired or painted during this time. Once the car returned from painting the real fun would begin. The final assembly of the car began with the fenders and hood, running boards, chrome trim and the rest of the low hanging fruit. Then it was on to the headliner and interior, Windows, bumpers, deck lid, rubber seals and gaskets. A new rear wire harness was installed so the newly re-dressed 1641cc engine could be installed. Piece by piece the car slowly came together. The most challenging part of the final assembly was the installation of the felt channels and trim around the door windows. Peter found it next to impossible to properly bend the felt channel in the corner of the window to his liking. The solution was to use the felt channel that is sold for the 1-piece window kits. It was far more flexible and only required the installer to cut it to length. Peter could go on and on about each section of the car, but we all know and understand every small element of the re-assembly will carry its own small story. Peter’s biggest worry and final part of the final assembly, was wiring the fuse block and dashboard. There are no replacement wire harnesses for the front of the 1303 Super Beetle so what ever was pulled out had to be re-installed… and it was a mess. With support form his local VW buddy Gary Keeping, Peter took the empty fuse, consulted the schematic, and said a prayer. Being extremely patient the mess or wires began to look like a different mess of wires… but connected. 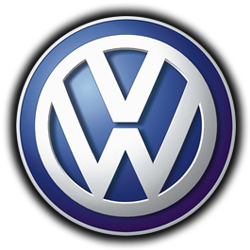 It’s been said many time before… when it comes to wiring a car… there is the right way… the wrong way… and Volkswagen’s way. So don’t let that jumble of wires make you feel like you did anything wrong. After one final check, a battery was added and the vehicle came to life and with a fire extinguisher handy the car was cranked over… and started up. IT’S ALIVE! No fire (just a lot of smoke). The End of The Road… or Just the Beginning? With the Beetle all put back together and some final tweaks and adjustments the project was completed roughly 8 years after it first drove into Peter’s garage in Orangeville, Ontario. Upon completion, Peter showcased the newly restored 1973 Super Beetle at the June Jitter Bug in Niagara Falls, Ontario. The entire family joined him and enjoyed a weekend in the bug while sharing stories about the build with other VW enthusiasts. The final chapter of this story came Just one week after the show. Peter drove the Beetle from Orangeville to Richmond Hill and delivered it to the rightful owner. Ilias from Ilias Service Centre / Bug On The Hill was ecstatic to receive the Beetle and plans to keep the car in the family for the foreseeable future, hopefully using it to inspire a new generation of VW enthusiasts. With the 1973 Super Beetle project completed Peter now plans to use all of his newly acquired skills, knowledge, and tools to use on his 1971 Super Beetle. This new restoration will be documented online at www.thebugnut.com. Be sure to visit this site for additional build photos and stories from the 1973 Super Beetle project and Peter’s new Project #Super71.